Around the time of Chinese New Year, Falun Gong practitioners around the world set up information desks and posters at tourist destinations to raise the awareness of the ongoing persecution of the spiritual discipline in China. 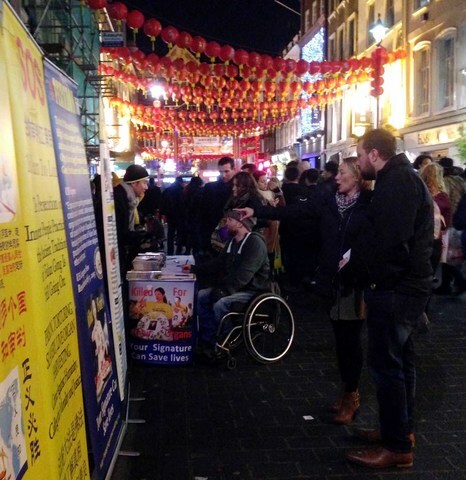 More tourists than usual were in London's Chinatown on January 28, Chinese New Year's Day. The local practitioners had set up a table filled with Falun Gong information materials. 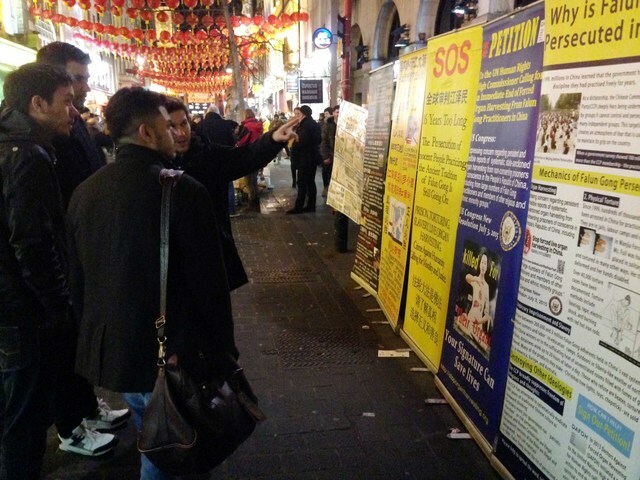 Around the table were posters with information on the persecution and the atrocities of China’s state-sanctioned organ harvesting from prisoners of conscience, primarily Falun Gong practitioners incarcerated for refusing to renounce their faith. Many tourists, after learning about the persecution, signed a petition calling for an end to the persecution and forced organ harvesting atrocity. 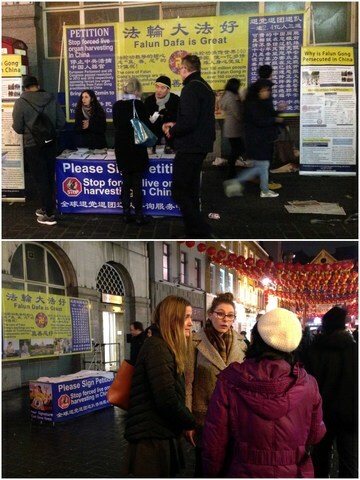 An exchange student from the U.S. had been to China before but didn't know about the persecution. 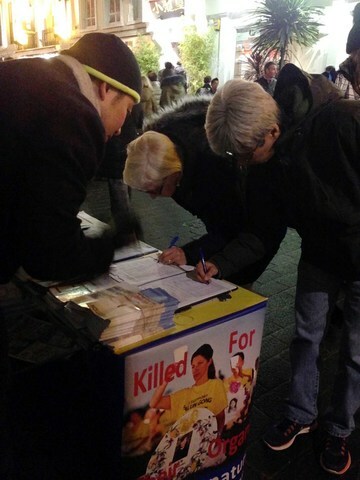 Astounded by the severity of the crimes committed in the scheme of organ harvesting, she planned to use it as her research topic. 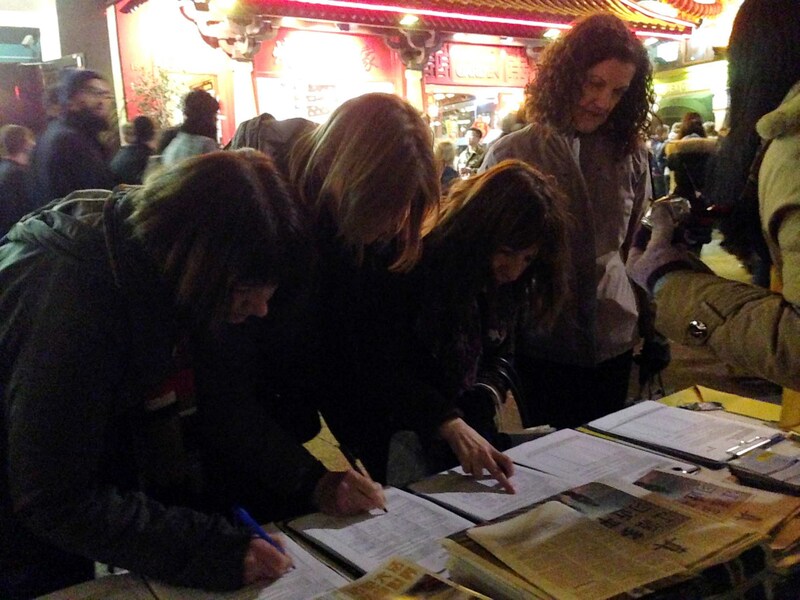 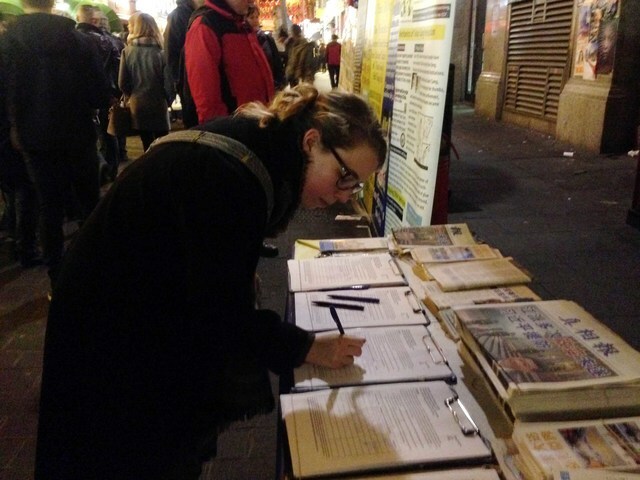 A woman from Belgium, who had heard about the persecution of Falun Gong and signed a petition before, saw the practitioners in Chinatown and immediately signed the petition again. 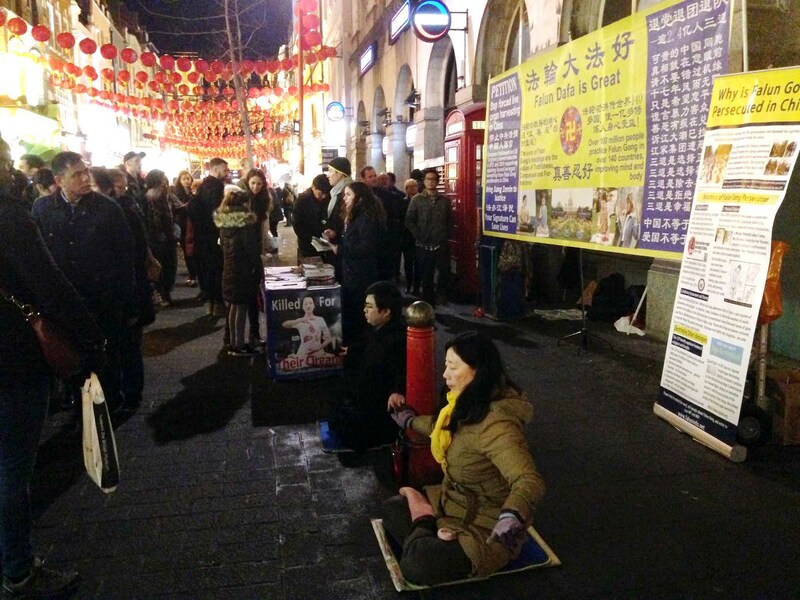 She said that many people have been fooled by the economic illusion created by the Chinese communist regime, and that they should stop believing its lies.